Today, August 18th, is Vietnam Veterans Day. The day was originally known as Long Tan Day, a day to commemorate the Battle of Long Tan in 1966, Australia's most significant campaign in Vietnam. 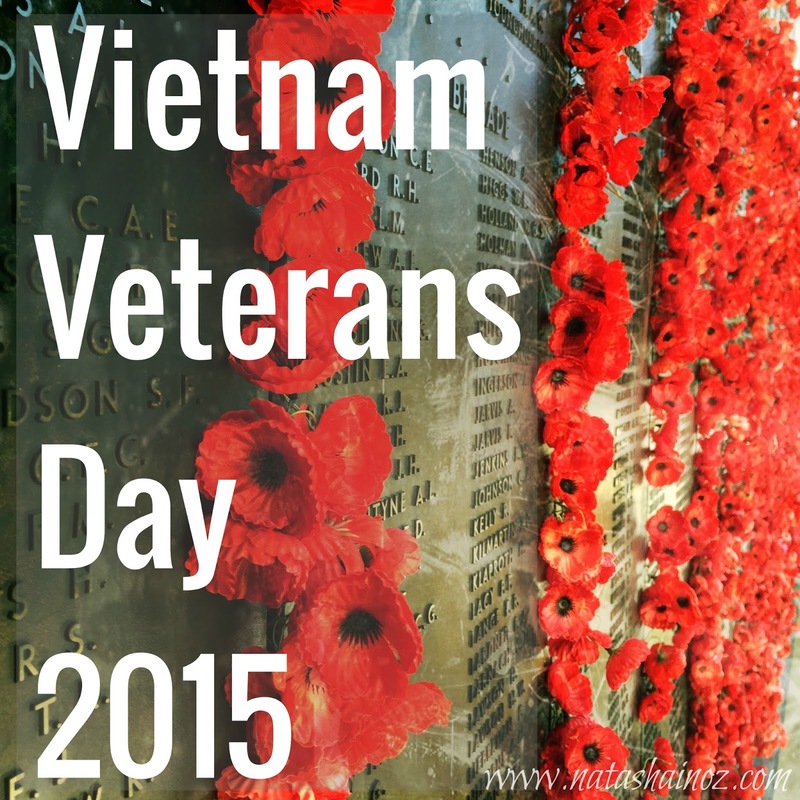 Now, we use this day to formally acknowledge the service and sacrifices of all Australians and New Zealanders who served in Vietnam. On that day, 108 Australian and New Zealand soldiers fought a pitched battle against over 2,000 North Vietnamese and Viet Cong troops in a rubber plantation not far from the small village of Long Tan. The Australians prevailed, but only after fighting in torrential rain for four hours. They were nearly overrun, but were saved by a timely ammunition resupply, accurate artillery fire from the nearby Australian base, and the arrival of reinforcements by armoured personnel carrier. Eighteen Australians lost their lives and 24 were wounded, the largest number of casualties in one operation since the Australian task force had arrived a few months earlier. Many of the soldiers who served in Vietnam are still psychologically and physically wounded by the war that no-one wanted to take part in. According to the Department of Veterans Affairs, of the 60,000 Australian troops who served in Vietnam, 74% are classified as suffering from some form of health impact as a result. Many veterans, like my father, suffered from post-traumatic stress disorder (PTSD) and many more suffered from cancer related to Agent Orange. On top of this, when the Vietnam vets returned home many were ignored, spat on and shunned. Most of these soldiers were conscripted and did not want to be there. This Vietnam Veterans’ Day I want to remember the sacrifices made by our young men and women in a conflict that spanned a ten year period. I especially want to thank my dad for overcoming PTSD, being a great dad, inspiring my kids to try their hardest in everything they do and for being a great Australian. Please thank a Vietnam Vet today if you know one and remember the sacrifices that they made throughout the war and on their return.